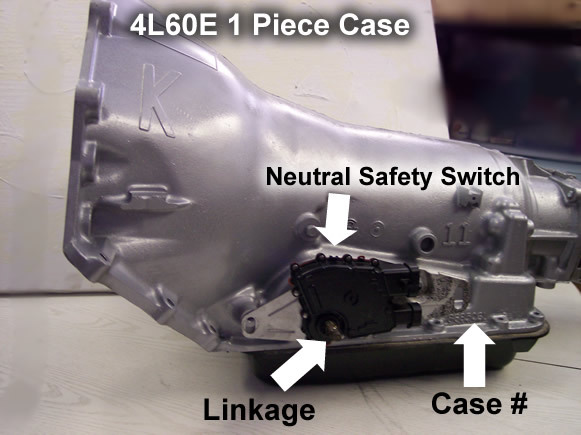 Home > Tech Info > 4L60E Identification, What type of 4L60E do you have? 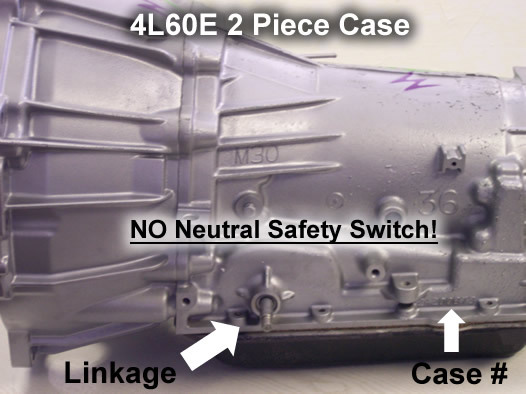 The photos below demonstrate and show you how to determine the differences between the 4L60E 1pc & 2pc style bellhousings. 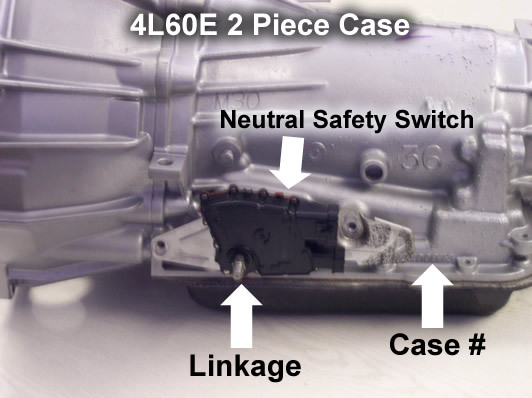 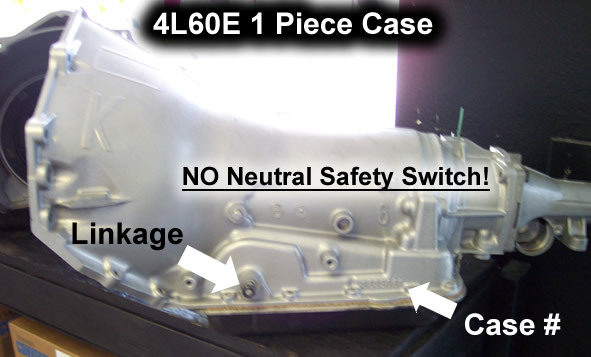 Below you'll also see what your 4L60E will look like with and without the Neutral Safety Switch.